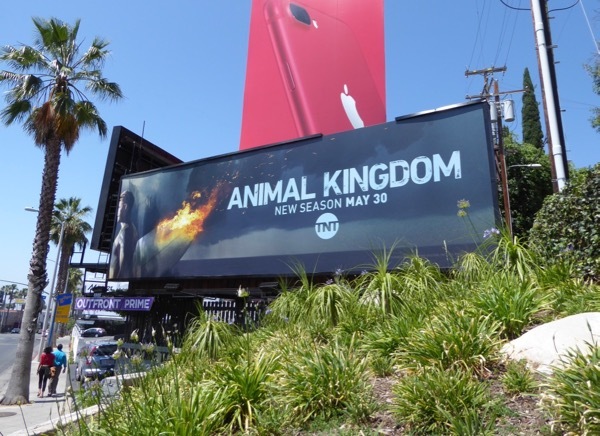 Crime family drama Animal Kingdom is back for a sophomore season on TNT and setting the skies of L.A. on fire with these flaming surfboard ad creatives. 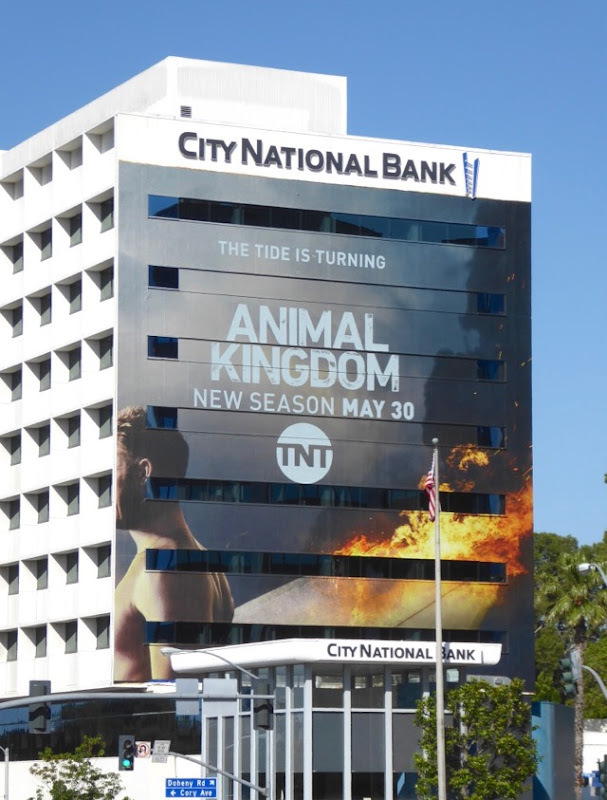 The small screen remake of the 2010 Australian movie of the same name stars Ellen Barkin as the matriarch of the 'Cody' clan, a Southern California beach town family, with Scott Speedman as her second-in-command. 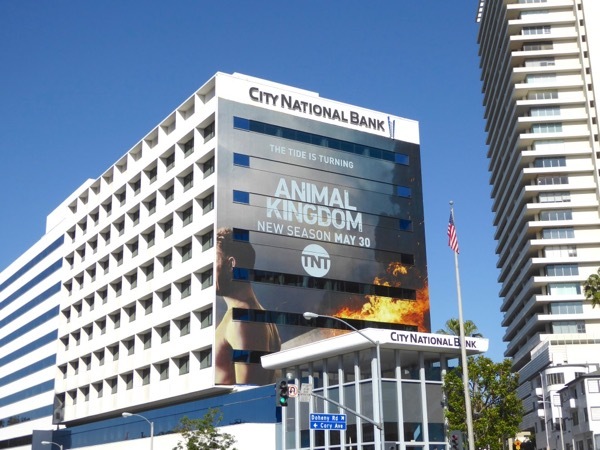 Can 'Janine "Smurf" Cody' continue to keep control of her boys and use them to do what she wants and can her teenage grandson 'Joshua "J" Cody' (Finn Cole) survive the experience of living with his wild uncles and manipulative grandmother. 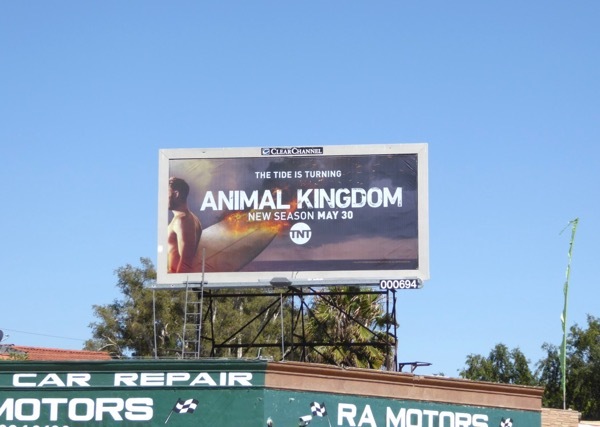 These season two billboards were snapped along West Hollywood's Sunset Strip, Pico Boulevard and La Brea Avenue from May 1 to May 13, 2017. 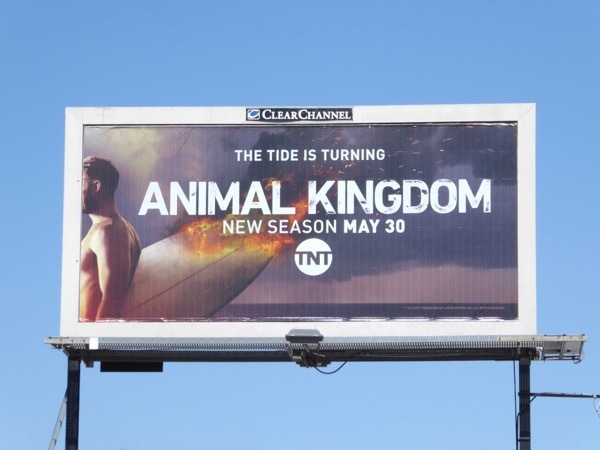 Fans of the TNT show can also check out these first season billboards for Animal Kingdom which set fire to some of Southern California's palm trees. 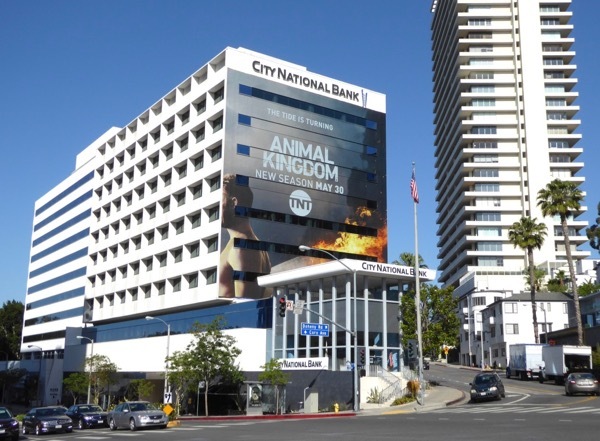 Plus for more surfing-inspired as creatives, make sure you check out these beer billboards, these Virgin America surfboard billboards and this Red Bull surfer billboard. The tide is turning, but will it all come burning down for the Codys. 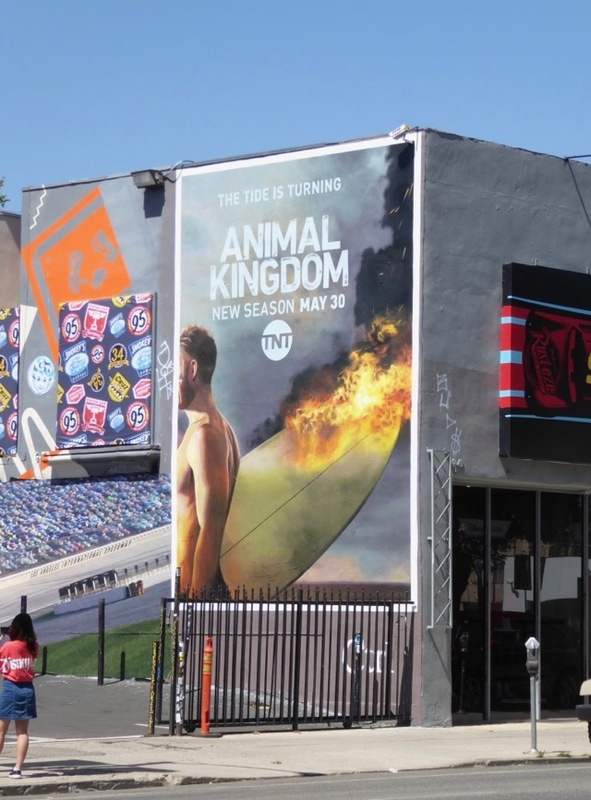 UPDATED: Here's also a cool wall mural ad for the second season snapped along Melrose Avenue on June 13, 2017.